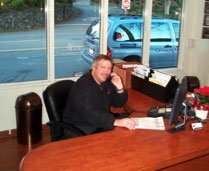 Services - Orinda Motors Inc.
Our main service center has unlimited capabilities when it comes to service and repairs on your car. Our experience enables us to handle just about any vehicle. The intense technical training we receive gives us the most current knowledge available. We also have an impressive selection of diagnostic and service equipment. Our customer greeting area has improved and so has our commitment to excellent service. Our team pride and dedication to quality shines through in every car we work on. Our team works together to handle all of the cars in the shop. 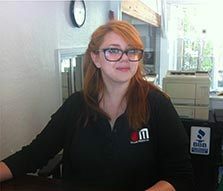 Helpful and friendly, we give customer service like no one else can offer. 15,000 - 30,000 - 45,000 - 60,000 - 90,000 Mile Services As recommended by the manufacture of your car. 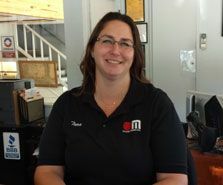 We will perform all of the scheduled maintenance required to keep your warranty valid, including signing your owners manual. We are the dealership alternative! Complete maintenance inspection including under hood and under car inspections. Inspections also include: cooling system, brakes system, exhaust, suspension, steering, lights, wipers, fluids and more. Engine performance: spark plugs, ignition, filters and fuel injection service. Engine maintenance: timing belts, drive belts, gaskets and seals. Cooling system: water pump, radiator repair, hoses and thermostat. 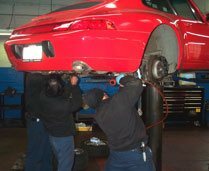 Brake repair: Anti-lock brake systems, brake linings, brake fluid flush. Air Conditioning: Complete evacuation & recharge by certified technicians. Check engine light, ABS light, SRS lights, computer control, no starts, charging system, electrical, air conditioning, climate control, power windows, drivability, emissions, brake system, tire wear, etc. As a long standing Contra Costa Green Business Orinda Motors believes in operating with green business ideals and environmental conservation practices. We embrace alternate energy vehicles. We are hybrid trained and experienced. We are partnered with others to educate the public on green businesses available in the Bay Area. Mission of the Green Business Program: To strengthen and sustain the quality of the environment in Contra Costa County through a collaborative partnership of public and private organizations that encourages, enables and recognizes businesses taking action to prevent pollution and conserve resources. Our team of technicians have sixty-five years of combined experience and training! No matter what you drive, they have worked on it before. Our techs have specialized skills in specific vehicles due to their years of experience. It may be a timing belt on a Toyota, a check engine light on a Suburban or an overheating problem on a BMW. No matter what it is, we have the right guy for the right car. We understand that experience alone does not keep us up to speed on today’s modern automotive machinery. 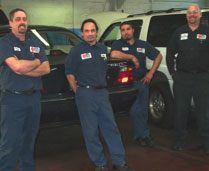 Our technicians spend approximately ten to twenty hours per month in class learning the latest diagnostic and maintenance techniques. We possess technicians that are certified by the state of California to perform Smog Testing and Repairs. Both Greg Sisk, and Vince Poehnelt have studied in emissions repairs and are currently certified. This qualification gives then the experience for all types of diagnostic situations including drivabilty and no-start conditions. In order to prove our credentials, our technicians take tests to become certified by the ASE, the National Institute for Automotive Service Excellence. When a tech has passed all of the certifications available he is given the title of Master Technician. This is a high honor and considered the pinacle of an automotive technician’s career. Our diagnostic technicians Greg Sisk, William Paulos and Vince Poehnelt are all ASE Master Technicians. Automotive repair information including, specifications, diagnostic procedures and access to factory technical service bulletins. The International Automotive Technicians’ Network is the largest network of automotive repair professionals in the world: a group of 53,165 from 144 countries. The members of this group exchange technical knowledge with their peers around the globe, sharing over 1 million years of experience. We have access to all manufacturers service and repair information. This includes repair procedures and technical service bulletins. We have the ability to down load software that will update your on board computer system. We have manufacturer listings provided by the National Automotive Service Task Force.